I will be updating this thread whenever I make new hats. 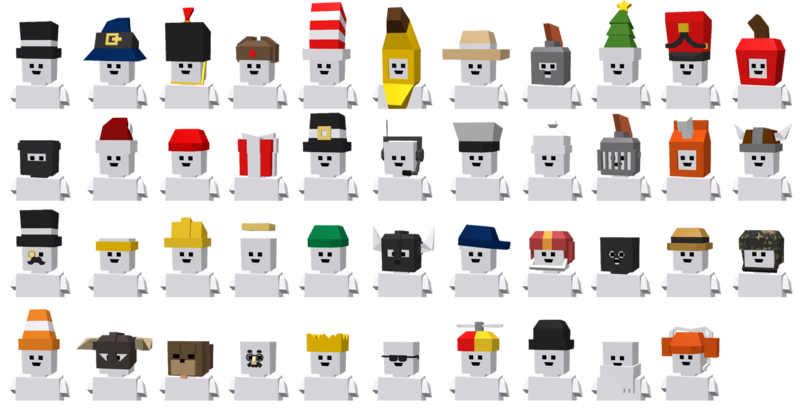 This hatpack requires server_hatmod.zip (by Boodals and Jake) to be in your add-ons folder. I added this because making mods takes time, I would never charge people for downloading my add-ons, though donations would be very much appreciated. was failed because of inefficiency, iirc. I suppose I can PM to people who want it. Wait will that get me banned? I've heard somewhere that posting things like this normally won't but I'm paranoid. xD, i'm using the Banana Hat+Banana Player in my server. Isn't this pack used by this Hatmod? Could you make something like this? Oh I was hoping this would include the military helmet models you've made :c Oh well, they are still nice.